The United States IRS (Internal Revenue Service) allows you to deduct 58 cents per mile (as of 2018) operating an automobile for business. The standard mileage rates also apply to charitable, medical, or moving expense purposes with various rates. This means you can save hundreds or even thousands of dollars in tax deduction. Properly filling out your mileage logs are crucial when it comes to the amount of money you can save, and prevent an IRS audit. There are applications that can help you accurately track and log your mileage, and help you save more money in terms of tax deductibles. Why is a mileage log important to me? Is your mileage log truly IRS compliant? Unlike many mileage trackers that do not capture necessary information, TripLog includes every fields required by the IRS, plus a wealth of additional information as well. Then check their mileage log, does it have all the fields required by the IRS, especially the start and stop odometer readings?TripLog reports include all the required fields, plus additional useful information about each trip. Here is a sample TripLog report. What about other vehicle and business expenses? TripLog can keep track of all vehicle and business expenses. It maximizes your tax deduction. Where do I keep the expense receipts? You are required to keep proof of the expense items that you claim over $75 by the IRS (please see the detailed tax codes in IRS Publication 463 Travel, Entertainment, Gift, and Car Expenses Chapter 5. Recordkeeping). You can either keep physical receipts or you can keep them on a backup server, as the IRS recommends. TripLog uploads all the receipt photos you take from the smartphone to secure cloud storage which allows you to keep them forever. As long as you have the TripLog generated reports or an active TripLog web account, you can retrieve those receipts. I’m a rideshare driver for Uber/Lyft. How does TripLog help me? If you are an Uber or Lyft driver, you operate your own business. You don’t have to register a company, but you operate as a Sole Proprietor. You report your income from Uber and Lyft and deduct vehicle mileage and other expenses on Form 1040 Schedule C. All the topics covered above apply to you. Uber and Lyft do not provide IRS compliant mileage logs. It’s up to you to keep the records and face a potential IRS audit. But rest assured, TripLog will take care of all the tedious work of mileage tracking and record keeping. It runs in the background alongside the Uber and Lyft apps. It’s a perfect tool for rideshare drivers who want to maximize their tax deductions. The best way to track mileage for your Uber/Lyft business is to add TripLog 2×2 widget on Android home screen or TripLog widget on iOS Today notification. You would start tracking at the beginning of the day and stop tracking at the end of the day. That will include the mileage you drive to the pick-up location and around the town without a passenger. 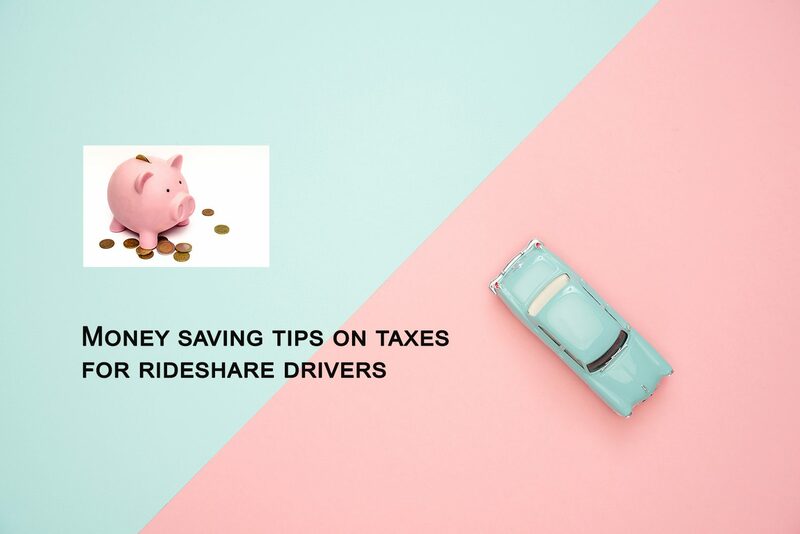 Read our two previous blogs on rideshare tax tips here and here to help you navigate the tax season with or without smartphone apps to help you.